When a piece suddenly goes missing from the quilt of your relationships you tend to give some thought to the person who used to be there. After mum’s death three days ago I was looking through some old photos. This one brought back memories of 1966 to be exact, and all the experiences and images from that time, almost none of which have bothered to amble into my mind for a good 30 years. This photo was taken at the beginning of what was to become nearly a decade of emotional turmoil. What with the onset of puberty, increasing difficulties in my parent’s marriage, being bullied at school and later, very serious bouts of depression, I was not a happy youth. Some sympathy from my parents could have been a real comfort. 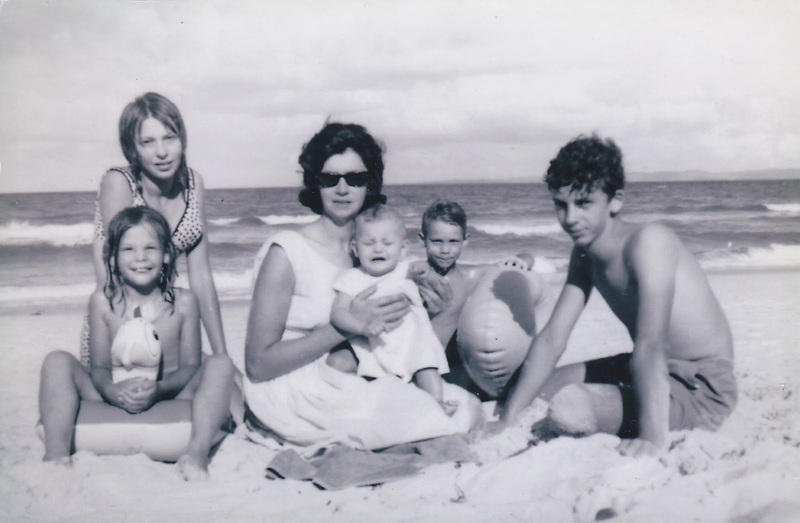 But mum’s preoccupied with my baby brother (that’s him on her knee) and the war of attrition she was waging against my father (he’s taking the picture) meant that she had little time for me. Dad never has any time for me even when things were okay. Aware that he had made several decisions that had upset the family’s previous middle-class comfort and financial security his hair-trigger temper had become worse than ever. I didn’t want his sympathy, I just tried to keep out of his way as much as possible. Despite all the disruption they were enduring neither of my parents ever failed to provide for our material needs. Dad always brought home the bacon, never spending any on himself, and mum performed her household duties with all the diligence and skill she had always done. That was one aspect of being a good parent that they both excelled at and I am grateful to both of them for it. My mum also passed onto me a love of books and reading, a concern for animals, a fascination with history and something I sometimes wish I had less of but which been very helpful to me nonetheless, a sceptical turn of mind. However, looking back I would have to say that by the time I left home I was a bit of an emotional mess. I had what would now be called “low self-esteem”; then we just called it being a misery guts. I also suffered from periods of dark depression which I inadvertently made worse by listening to Tchaikovsky’s Pathetique from my small record collection. To this day I when they play this symphony on the radio I have to turn it off. 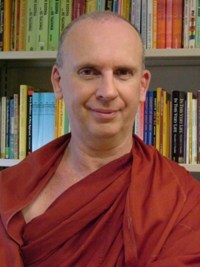 Then one day I found a copy of The Mind Unshaken, John Walters’ account of Buddhism and why he became a Buddhist. I was riveted, especially by the Buddha’s idea that while dukkha was an integral part of life it can be overcome. This seemed to arouse a determination to pull myself out of the bog I found myself in. Over the next decade or so I absorbed the Dhamma and as I did I gradually “untangled the tangle” and straightened myself out. I can say with honesty that my last 30 years have been generally happy, satisfying and fulfilling and I owe that entirely to the Dhamma and my own efforts. I am convinced that one need not be held back by difficult or unpromising beginnings and that the recourses needed for this task are available in the Dhamma. On the 17th April at 2.20 in the morning my mum died. She woke up and told her nurse that she was not feeling well and asked for a glass of water. She went and sat in her chair and a moment later passed away. For us her family she had, in a sense, died about five years before. So badly had her mind disintegrated that she did not even know her own name or even who we her children were. It is only when someone you know has dementia that you realize how much of a person their mind is. Their body tells you this is them but much of what they do and say is of a stranger. Brought up in the Depression mum learned very early to be self-reliant. Her education at Emily McPherson College stood her in good stead throughout all but her last few years. She was a skilled and creative dressmaker, cook, cake decorator and transformer of old junk into much sort-after objects. She could eye a patch of ground or an off-cut of fabric and in no time and with seeming ease turn it into a lovely garden corner or an attractive blouse. In her last years just for the heck of it she would go to flea markets and buy unpromising pieces of furniture at knockdown prices, repair, paint or varnish them, upholster them and sell them for very substantial prices. She was good with things. People were another matter. Mum was quick to take offence and just as quick to cause it, she was petulant, demanding and incapable of admitting she was wrong. At times she could be breathtakingly selfish. Her relationship with her parents and siblings was always stormy as it was with her husband and children. During her last 20 years she was happier than she had ever been, living alone, pottering around in the garden, reading and visiting the places she had always wanted to go. For us her children our regular phone calls and occasional visits were a nice way to keep in touch without having to spend too time with her. Mum’s passing evokes mixed emotions. I’m relieved that her physical self finally caught up with her mental self. I feel a touch guilty that I was never able to love her as much as an offspring should be able to. I am sad that her life did not see more peace, satisfaction and fulfilment. And I have a strange awareness that something of what I am has ceased to be. A few years ago I had to wait eight hours in Dubi airport for a connecting flight. I spent most of the time keeping boredom at bay by reading a book. At one point I became aware of an argument going on somewhere. Looking around I saw two women in the distance coming towards me, angry words getting louder as they approached. They stopped near me and one woman, apparently an airlines passenger liaison officer, opened her office and invited the other woman to come in. The other woman shouted: “I will not come in. I want another ticket, I want it now and I will not pay a cent extra for it!” Problems at airports can test patience and fray nerves but this woman was being very unreasonable. After five minutes of watching her tantrums even I was starting to get irritated. 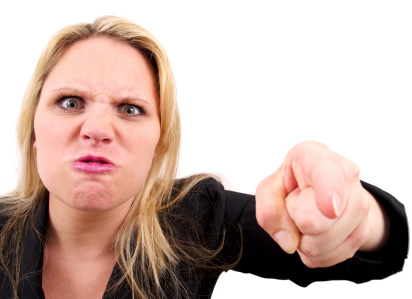 She was not just angry, she was refusing to be placated. She shouted, hurled abuse, threw her arms around and at one point even raised her fist as if to strike the other woman. The amazing thing was that throughout this whole incident the liaison officer never raised her voice or appeared to lose her temper, although she did look harassed. After at least 20 minutes of tantrums and yelling the angry woman stormed off. It is by no means clear what type of gymnastics the two characters in the Buddha’s story preformed. But what is now called mallakhamb may be distantly related to it. If you have never seen mallakhamb have a look at this amazing young gymnast. But of course the thrust of the Buddha’s story is not gymnastics but the importance of forbearance (khanti), harmlessness (avihimsa), love (metta) and empathy (anydaya) in benefiting oneself and others. While the Buddha understood the mind to be a ‘flow’ or ‘stream’ of mental events (vinnanasota), later abhidhamma thinkers speculated that it was actually a string of individual thought moments (cittavithi) arising and passing away at great rapidity. Later still, the theory developed that the last thought moment (cuticitta) a person has before they die will determine their next life. 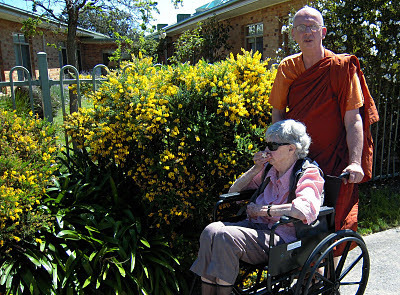 This idea, a part of Theravada orthodoxy, seems to be an unjustified development of the Buddha’s teachings and at odds with his idea of kamma and the efficacy of morality. 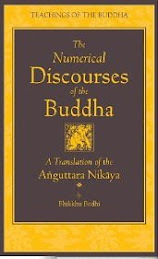 The theory of the importance of the last thought moment is not mentioned in any of the Buddha’s discourses or even in the later Abhidhamma Pitaka. The Tipitaka records many occasions where the Buddha counselled people who were either dying or critically ill. If the last thought is really crucial to one’s destiny one would expect such occasions to be the most appropriate time for him to mention it, and yet there is no record of him ever having done so. Nor did he mention it anywhere else. 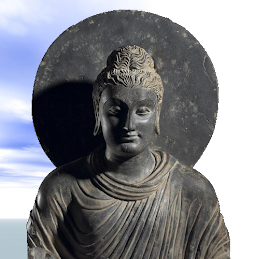 Mahanama once confided to the Buddha his anxiety about dying at a time when his mind was distressed and confused, thinking it might result in him having a bad rebirth. The Buddha reassured him that because he had for a long time developed faith, virtue, learning, renunciation and wisdom, he had nothing to fear if such a thing should happen (S.V,369). The theory of the importance of the supposed last thought moment first appears in an undeveloped form in the Milandapanha (aprox. 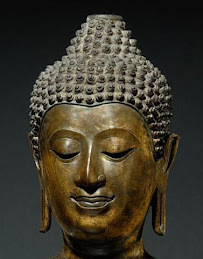 1st century CE but with parts still being added in the 2/3rd centuries CE) which says: ‘If someone did unskilful things for a hundred years but at the time of death was mindful for one moment of the Buddha, he would be reborn amongst the gods’ (Mil.80). By the time the Visuddhamagga was composed, this apocryphal idea had been worked out in detail and had come to be considered orthodox (Vism.458-60). Apart from not having been taught by the Buddha, there are several philosophical, ethical and logical problems with the theory that the last thought moment is the deciding factor in one’s circumstances in the next life. If a person had lived a relatively good life but in the anxiety and confusion just preceding their death they have some negative thoughts they would, according to this theory, have a bad rebirth. Likewise, one could have lived an immoral and dissolute life but pass away with ease and in peace and, therefore, have an advantageous rebirth. This negates the whole idea of kamma, the teaching that the sum total of our intentional thoughts, speech and actions conditions our future, both in this life and the next. Further, it is very difficult to understand how just one or two thought moments, each of a millisecond long (khana), can cancel out perhaps many years of good or evil thoughts, speech and actions. This theory also fails to take into account causation. If everything is conditioned, and the Buddha taught that it is, then the last thought moment must be conditioned by the second last thought moment which in turn must be conditioned by the third last thought moment, etc. This means what we are thinking, saying and doing right now will have an impact on what is in our minds at the time we die. Therefore, to emphasise the last thought moment is to give exaggerated significance to the effect and neglect the cause, i.e. how one is living here and now. The theory of the last thought moment does not fit well with other things the Buddha taught. For example, he said (A.II,80) that trying to work out the subtle and interconnected workings of kamma (kammavipaka) would send one mad (ummada). And yet the Visuddhimagga describes in extraordinarily minute detail what supposedly happens in the mind just before death, the past kamma that makes it happen and the kammic consequences it will have in the next life. 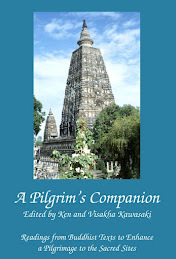 The Buddha’s comment that thinking about the intricacies of kamma can cause madness should also make one cautious of the Visuddhimagga’s theorizing.